Whether you are a group member or leader, commit to sending an encouraging email or note to at least one other group member each week. Have an “encouragement” time-out. For five minutes no one is allowed to say anything other than sincere encouraging words to one another. Affirm others when you see them using their gifts to serve God and people. Graciously speak the truth at all times.Attempt to meet the needs of those around you if it is within your ability.Give your best effort, particularly when you are being compensated.Assume people's actions are motivated by the best of intentions.Think first of the possibilities rather than the obstacles. You've asked one of your finely crafted questions, and Janice, a young Christian who doesn't usually say very much, gives a hesitating answer, that shows she's on the right track. You can tell by the wrinkled forehead that she has got a lot more thoughts in her mind, but is unsure about her first answer, so has not said any more. So now is your chance to deploy the finest two words in Bible study history. Take a deep breath and repeat after me: "Go on"Say these two words out loud now - they will change the face of your home group forever! I found this list at Andy Naselli's blog. You can read the entire post here. Potential Pitfalls of Small Group Bible Study The vertical pushed out by the horizontal: they can turn into little more than social groups.The message sidelined by the method: members can become addicts to one way of encountering God.The blind led by the blind: meetings can become simply opportunities to pool ignorance.Benefits of Small Group Bible Study A good place to listen to God: each can help the others study the Bible.A good place to talk to God: each can pray for the others in an informed way.A good place to care for one another: each can carry the others’ burdens.A good place from which to reach the lost: members can work together to advance the gospel.This is a good reminder that even good things come with inherent dangers. We must be careful to guide our small groups toward these benefits and away from the pitfalls. 1. Recognize birthdays. 2. Take time to get to know people. 3. 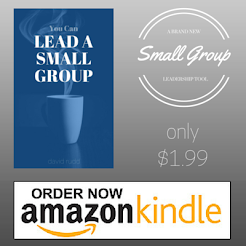 Invite people to a Small Group. . 4. Meet outside the 4 walls of the church. 5. Send personal notes. 6. Invite people over to your home. For many years, we've tried to develop a small group culture at Calvary that included a focus on mission. While every group's mission might be different, we want to have groups that exist for a purpose beyond simply meeting together. I'm luck to be part of a group that has really embraced the idea of being a missional group. In addition to serving at a local soup kitchen each month, several of our members are becoming more engaged with the local school systems and this spring we'll be partnering with a local neighborhood group in their creation of a "Garden of Hope." This recent blog post highlights some of the requirements for leading a missional small group. - Know yourself, identify growth areas, determine how you need to be more Christ-like. This is mostly character assessment, NOT habit-assessment. - Set goals to improve. Be specific. Share your goals with your LIFEgroup. 1. Relate -- Before your gathering officially begins, make sure that everyone feels connected. Pay close attention to the environment being created and especially notice if anyone is unusually withdrawn or downcast. 2. Review -- For many people, group time is a "break" from life. Give them a chance to talk about what is going on in their lives. They might update prayer requests from previous weeks, or share new challenges and goals they are pursuing. 3. Read and React -- Spend time in God's Word (use discussion guides if necessary). Talk about it, let it sink in. Allow as many as desire to talk about how this passage is going to impact their life moving forward. Jesus had many disciples, but He spent most of His time developing twelve men (Mark 3:13-19). His most influential ministry took place in His discipleship group. Because Jesus did it this way, we will do the same. We offer a variety of D-Groups that meet during the week.This is a very simple and clear defense of small group discipleship. I wonder what it would look like to try to intentionally create relational interactions in our small groups that mirrored the relational interactions Jesus had with His disciples. It might be that the chronological, geographical, and cultural differences are too great; or it might be that this practice would be a goldmine of discipleship effectiveness.